We understand that sometimes things don't always go as planned, which is why we've made it super easy for you to make changes to your project. 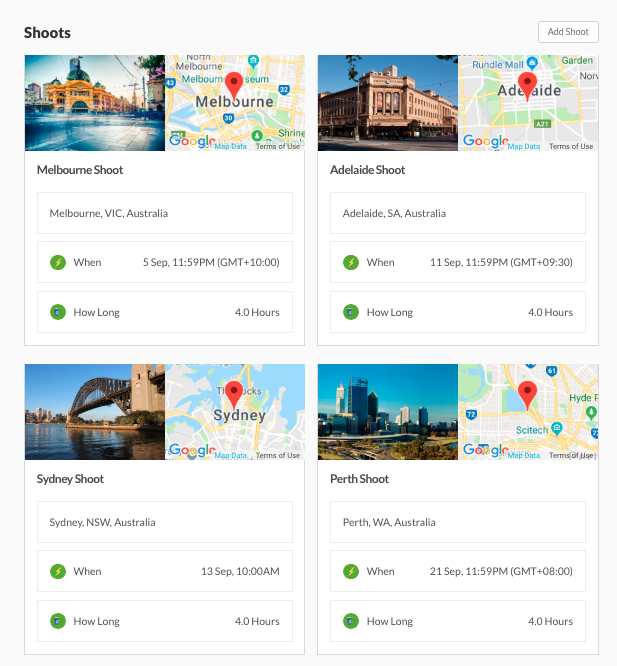 Simply navigate to the shoot to which you want to make the change. 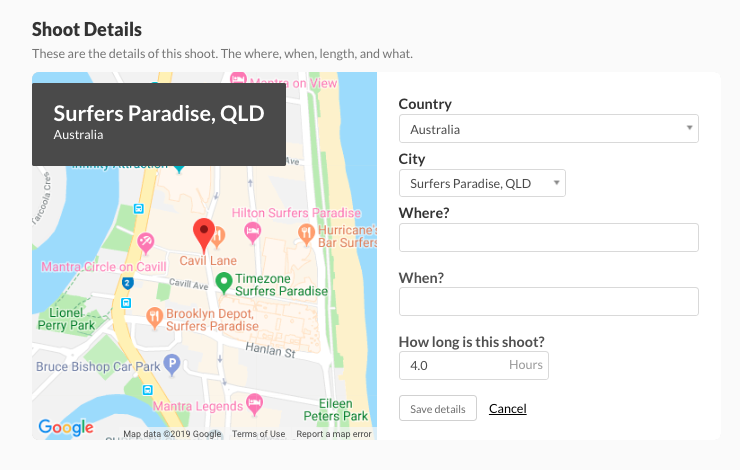 Update the 'Where' of your shoot and then make sure to save the new location. This will notify all team members on your Project Team that there has been an update. Alternatively, you can speak directly to your Project Producer who can make the change for you. If you need a helping hand, please see how to 'Request a Change' here.